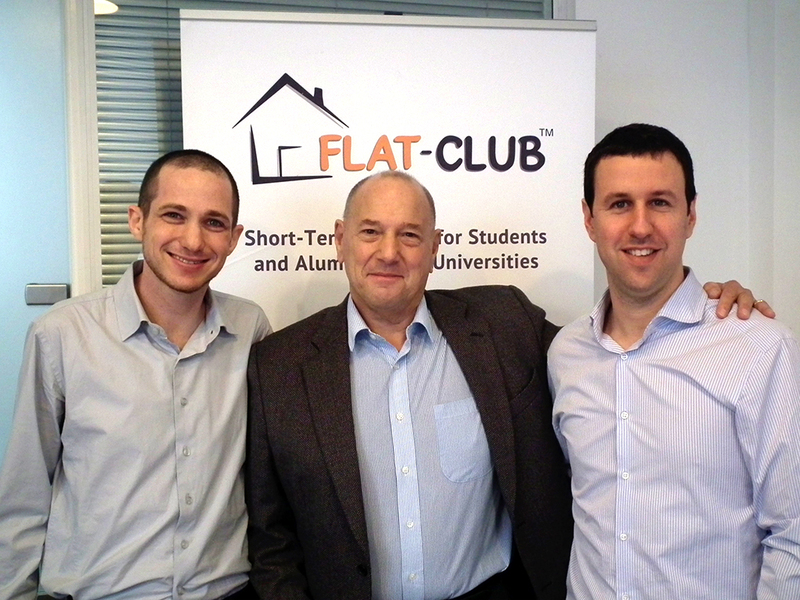 Big win for Flat-Club at the JC! With the weather starting to brighten up here in London, there is much to celebrate at Flat-Club. Even more so than the advent of short-sleeved shirts, however, we’re celebrating our win at the very first JC Young Entrepreneur's Challenge! As you may know, Flat-Club has won a few competitions in its time, and we’ve been cataloging many more, even those that we are unable to enter ourselves. It was by lucky chance that we were able to enter the JC competition, as co-founder Nitzan Yudan happened to be shown the issue announcing the competition while he was having dinner with friends. Don’t wait for your lucky break though, take a look at the new 2013 edition of the largest database of UK and EU startup competitions that we’ve researched for you! The JC Award included £10,000 from the panel of judges, £10,000 from the UK’s Investec Specialist Bank, £5,000 of creative consultancy from Albion London, and free advice from North London accountancy firm Berg Kaprow Lewis! Nitzan was so happy over the experience, “Being an entrepreneur is a journey full of ups and downs. Most of the time you hear the words ‘no’, and ‘it won’t work’ so to have the endorsement of such an impressive panel is a huge boost.” What a wonderful way for Flat-Club to ring in Spring. If you’re looking to get your start-up noticed and test out your pitching skills, consider applying for a few of the contests listed in the 2013 edition of our 85+ strong database of start-up competitions, focused primarily within the UK and Europe. Competitions such as these are a great opportunity to review your weaknesses and make the most of your strengths as a company. If you’re looking to enter one of these yourself, read through some of the advice from Flat-Club co-founder Nitzan after his winning TechCrunch’s One-Sentence-Pitch Challenge, and from his experiences as a finalist at Pioneers Festival, Startups100, and PitchUK. Entering these start-up competitions is incredibly beneficial, with such perks as an increase of the company’s reputation among investors and customers, coverage, and a boost to morale for the team--everyone wants to be part of a success story! Of course there are also financial benefits to many competitions, and profitable networking often results from coverage and connections made during contests, as well. There are really innumerable benefits to entering competitions as an entrepreneur, just the buzz you feel is invaluable. As with everything in life, trying out at these competitions, making mistakes, and failing are all necessary stepping stones to eventual success, as we had at the JC Young Entrepreneur's Challenge. Thank you again to the JC for hosting the competition, and to the panel of judges for seeing such merit and potential in Flat-Club. Five Reasons to Go On An Exchange Semester!